• 1. Go your schedule page. • 2. 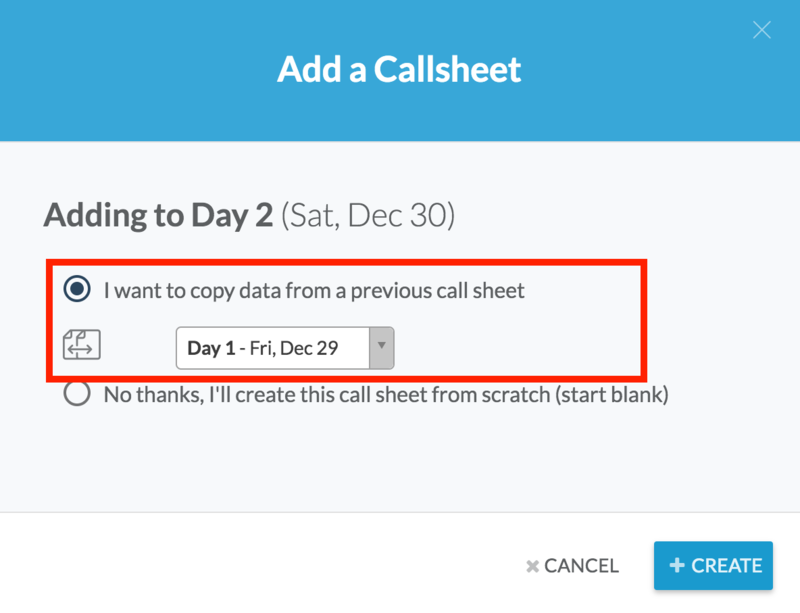 Find a blank day and then click the "+ Add Call Sheet" button. • 3. In the popup dialog box, make sure "I want to copy data from a previous call sheet" is selected and then choose the day you wish to copy data from in the dropdown menu. • 4. Click the blue Create button. Your new call sheet will be created with the data from your previous call sheet automatically copied onto it.